Summary: Many patients suffering from Graves’ Disease opt for surgical intervention. But this often brings about serious side effects that result in great discomfort and insomnia. 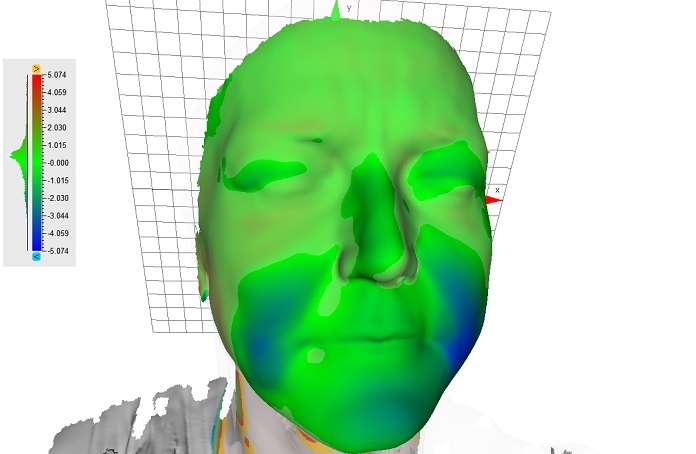 The Goal: To use a handheld 3D scanner (Artec Eva) to digitally capture a patient’s face, and then to 3D print a customized face mask using a special flexible material (BioFlex). The mask is designed to help patients get a full night’s sleep. Graves’ disease, a.k.a. Basedow’s disease, affects about 0.5% of males and 3% of females, with exophthalmos (protrusion of one or both eyeballs) being one of the common symptoms. The bulging and consequent immovability of the eye result in excessive lacrimation, photophobia and narrowing visual field. In order to remedy this pathology, treatment generally starts with pharmacological and hormonal therapy for Graves’ disease, and proceeds with surgical intervention for exophthalmos. Surgery can’t be immune from collateral effects, one of which is the possible damage of the tendinous tissue of the levator palpebrae (elevating muscle of the upper eyelid), impeding the closure of the eye and making it hardly possible for the patient to rest at night. This was the case with a female patient, 48, who, a year after undergoing surgery, started to suffer from a sleep disorder, which could not be alleviated by aids such as sleeping masks or pads. 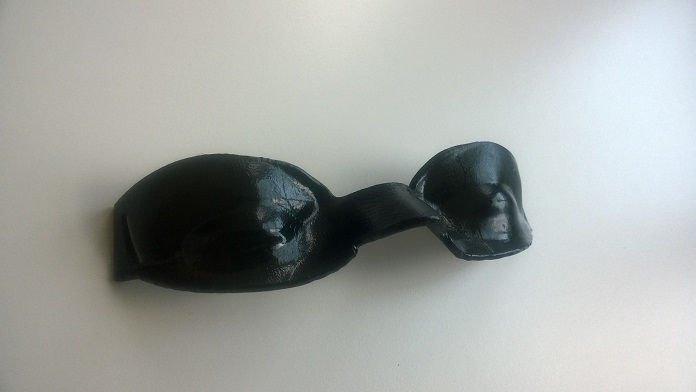 A 3D scanning and printing service provider in Torino, Italy Digital Maison was contracted to develop a customized eye mask for the patient. 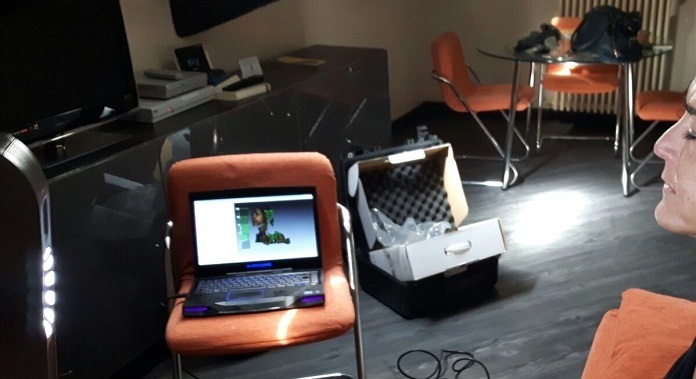 In a previous project Digital Maison designed a special shoe for a patient with severe foot deformation, using a scanner, fast modelling in Rhinoceros, and rapid prototyping on Zprinter. 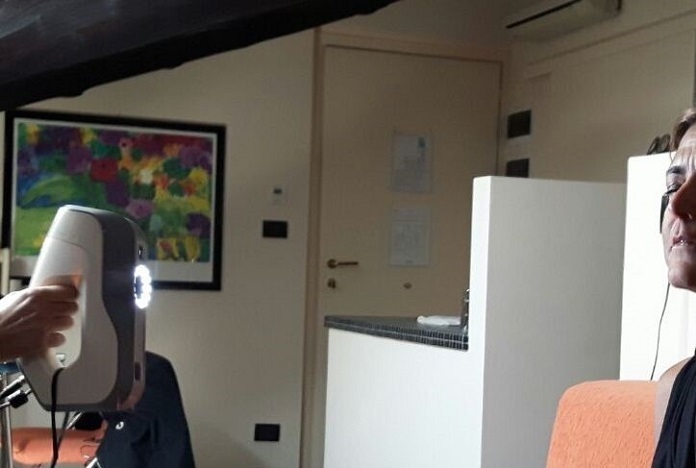 Paolo was one of the first researchers in Italy to write a thesis on 3D scanners 15 years ago. Artec Studio’s measurement tool enabled Paolo to reveal remarkable deviations in the shape of the face depending on the patient’s position (lying and sitting): the skin on the softest parts, cheeks primarily, can move up to 5 mm if the patient goes from lying to sitting. The blue color indicates areas where skin is set back in the lying position, compared against the sitting position. 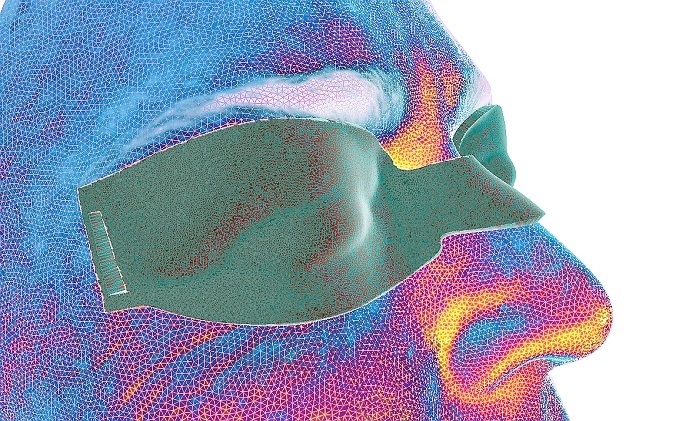 Using surface modeling in Rhinoceros 5 on the 3D mesh, Paolo designed a 3D model of the mask. 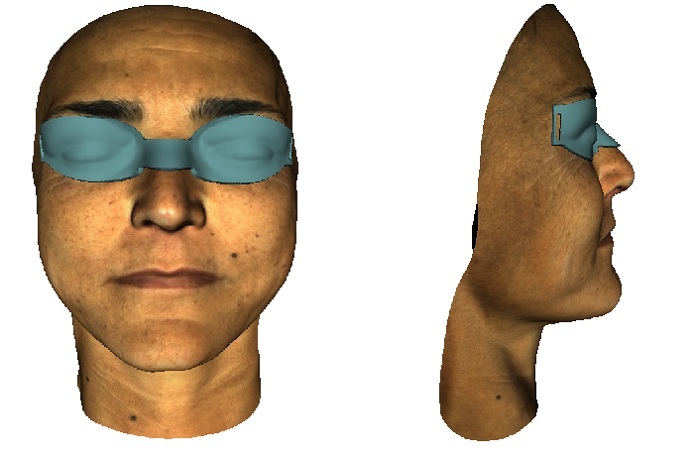 The orthosis replicated the facial surface to perfection, ensuring the blocking of light and the closing of the eyelids during the night rest. The final model saw several material trials with FDM print (fused deposition modeling, where the printer lays down material in layers) on a Delta Wasp 3D printer. The choice fell on Bioflex, a semi-rigid material, able to guarantee tight fit and a high level of comfort. Anyone in need of an orthotic device like this eye mask, can contact Digital Maison for details.